The four of us headed South on Route 1 from Trenton for the 45 minute drive towards the Bridge and Fort. Coming from this direction we first crossed the impressive bridge structure before turning into the Visitor Center parking lot at the base of the bridge. The normal non-resident admission price for the Fort and Observation Tower is $8.00, but after we explained to the attendant that we were working in Maine for the summer, she graciously offered us the resident price of $6.00 per person. Hey, $8 is $8, which could pay for ice cream later! 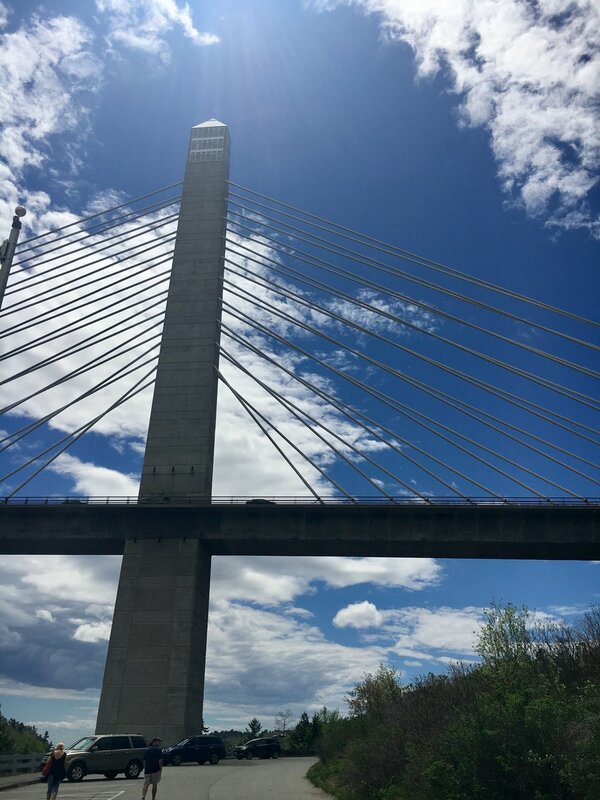 We approached the bridges observation tower and were immediately impressed with the height of the bridge. Signs at the base of the tower proudly proclaim it as the Tallest Bridge Observatory in the World and Taller than the Statue of Liberty. Who would have thought, all in a little coastal town in Maine! 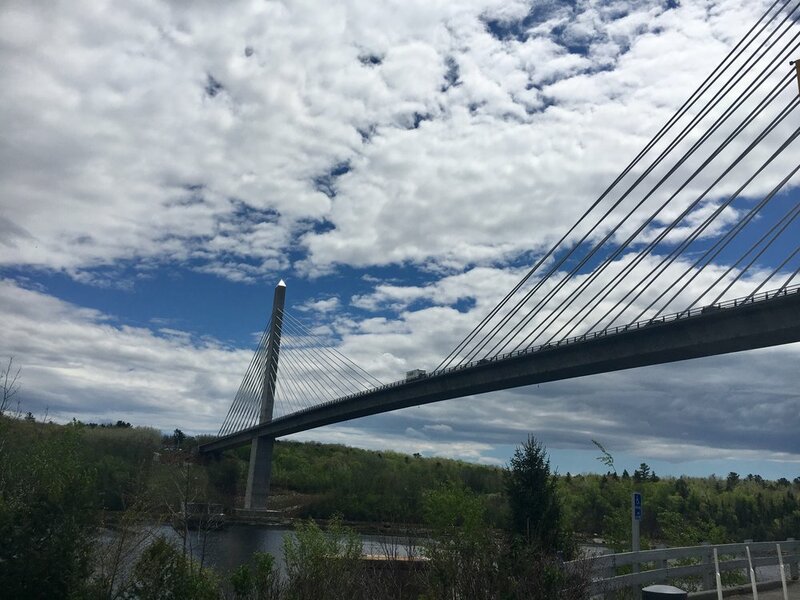 The Penobscot Narrows Bridge and Observatory offers spectacular 360-degree views of the Penobscot River and Bay, the Maine countryside and the distant western mountains. Engineering and transportation geeks (and even us normal people!) are fascinated by the award-winning and innovative design. After reading some of the interior posters explaining the construction of the bridge and some history of the bridge it replaced, we gave the attendant our tickets and stepped on to the elevator. After we stepped out of the elevator, we discovered that the last two stories would be completed via stairs so that your view at the top is an unobstructed 360 degrees. At 420 feet and 42 stories, the view was better than any of had anticipated. Also, the bridge swayed a little more than any of us anticipated! But after a couple of minutes we all grew accustomed to the gentle swaying. We all immediately explored the views from all four sides of the observation deck. 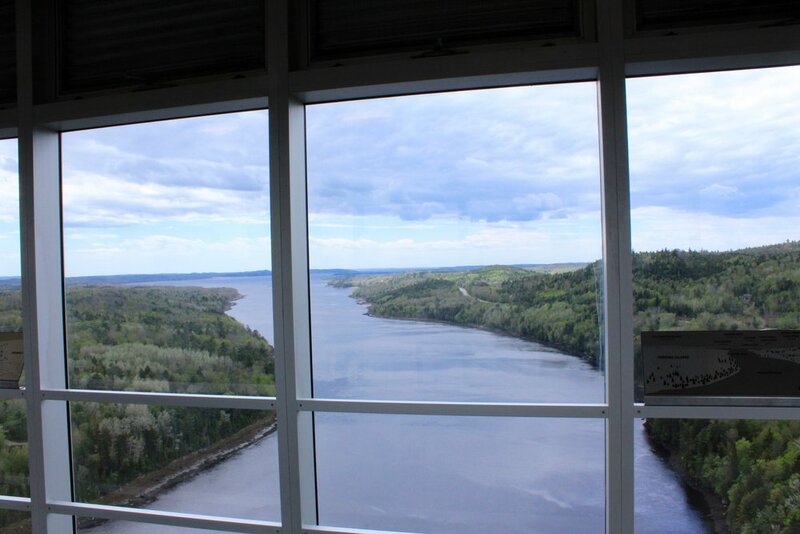 We had great views of the Town of Bucksport, the mountains to the West, and down the mouth of the Penobscot River. After several pictures, we relinquished our spot to the next set of visitors. Adjacent to the Bridge Observatory is Fort Knox. Fort Knox is one of the best preserved fortifications on the New England seacoast. The Fort has many architectural features present only to itself, as well as a rich history behind its cannon batteries. Fort Knox was named for Major General Henry Knox, America's first Secretary of War, who was born in Boston but retired to Thomaston, Maine in 1796. The Fort was established in 1844 to protect the Penobscot River valley against a possible future British naval incursion and construction took 25 years, from 1844 to 1869. 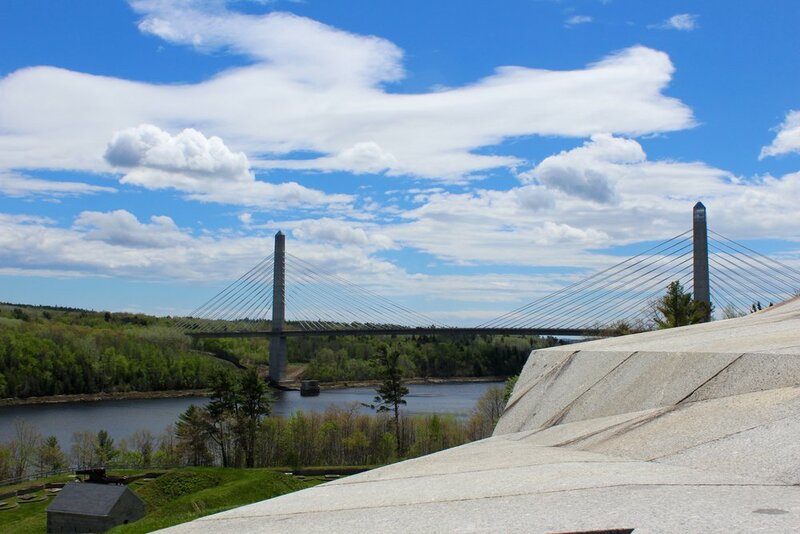 We spent some time walking through the tunnels and rooms inside the Fort and enjoyed taking in the views from its prominent spot in the banks of the Penobscot River. After all of this sightseeing, we decided it was time for a bite to eat in the town of Bucksport. We settled on the Harbor View Grille for its outdoor seating option and the amazing views of the Bridge, Fort, and marina. It was a little breezy, but the views more than made up for the cool breezes. After lunch, Jay and Karen enjoyed some ice cream from Wahl’s Dairy Port, just a short distance down Main St., while Betsy and I passed on the ice cream, we definitely enjoyed the views and the company as we sat along Main St. in Bucksport. We are looking forward to starting our summer jobs, but this was sure a good way to take advantage of a sunny day on the coast of Maine.